Everyone likes receiving a big check, but they rarely happen with regularity. 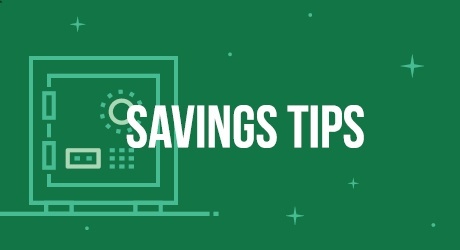 If you find that it is more difficult for you to save small amounts of money consistently, try saving those big checks when they do come your way. Tax refunds, bonuses, and raises are good examples of windfalls we cannot always count on to occur regularly or in consistent amounts. When we do earn one, it sometimes feels like an extra present for good behavior. That extra money in your pocket can be stored away and used on another day for a large purchase, or to start your retirement fund, or to start/sustain an emergency fund for yourself. Another way you can use that windfall is to blow away any outstanding debt—make a bigger payment on a loan or your credit card now to stave off the interest that would accumulate over time. A large payment on your balance with the highest interest rate will maximize savings on interest accumulation. Your best course of action may be one of these suggestions or a combination of multiple ideas! Regardless of what you want to do, it is a good idea to try and draw up a plan—run some numbers either using a spreadsheet program like Excel or using an online finance calculator to see what method best supports your personal financial goals.